I thought an update was a little overdue on our garden project. The fact that we still cannot plant into the ground yet is probably the reason why I am slacking in the posts. Since the weather was absolutely gorgeous today, I snapped a few pictures and am taking the time to write a proper update. Our garden is definitely coming along. 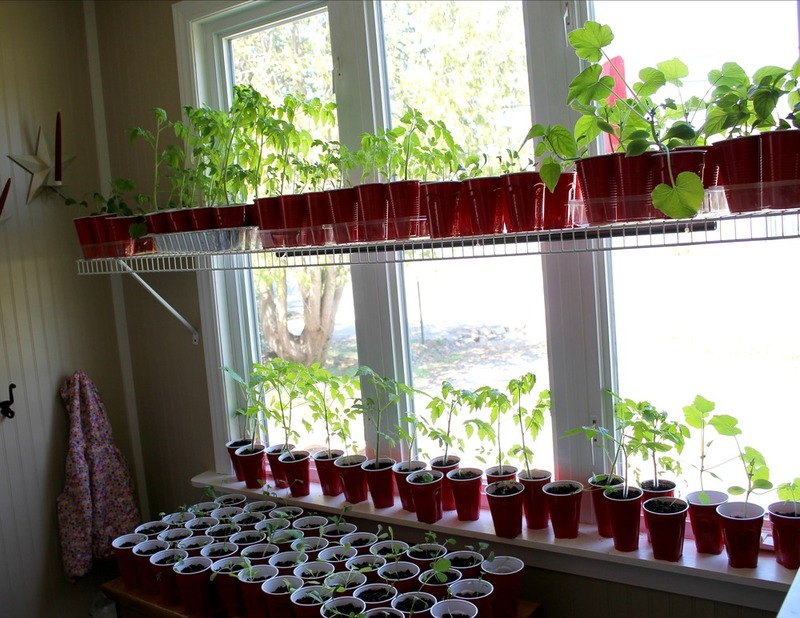 The seedlings are outgrowing the front window and ready to dig their roots into the garden. 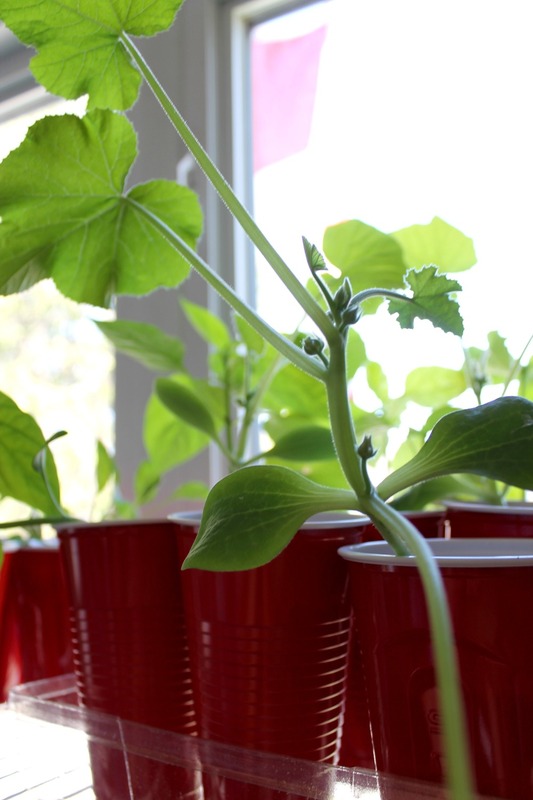 A few weeks ago I stayed up late transplanting all our seedlings into these larger cups (red SOLO cups). The cups work great and I will mostly likely keep them year to year since they have been an easy fix. They are taking over the entire window, and I have had various messages from people driving by wondering what I am doing! For the most part they look healthy, especially the tomatoes and zucchini. I can already see little flower buds starting on some plants, I am excited about that! The ones on the bench look a little sad, I am not sure if they just don’t have enough sun, too much water, or what is going on. They are Butterhead Lettuce, Red Radish, and Kale I believe. Oh no wait a few may be Cauliflower, I really need a better labeling system (note to self for next year LABEL ALL THE THINGS). Outside each weekend we have been hard at work. 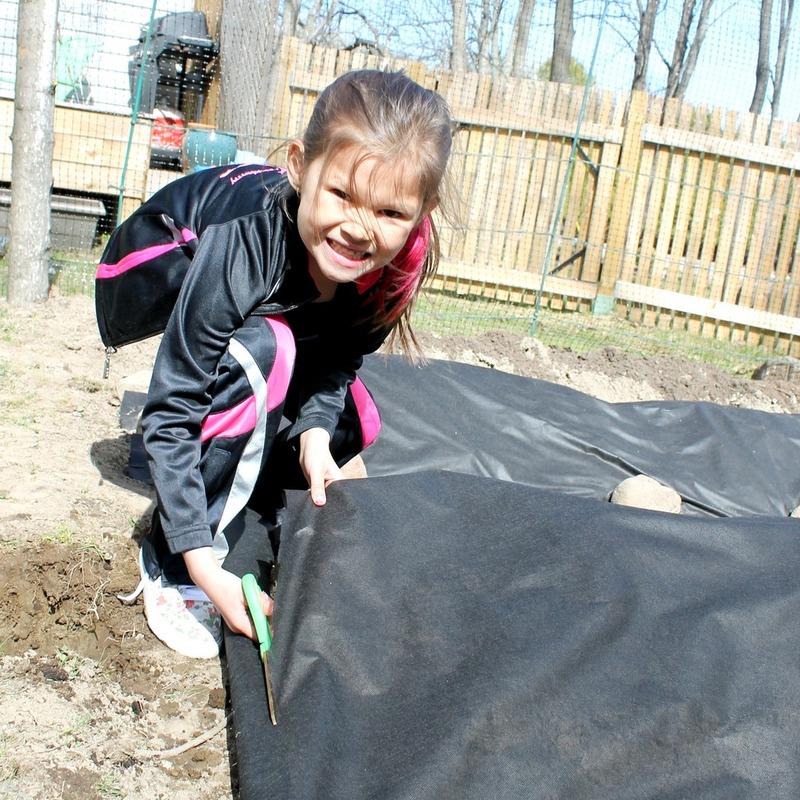 Annaliese and I covered the raised rows with black cloth, hopefully this will kill the top weed seeds off before we plant our veggies. 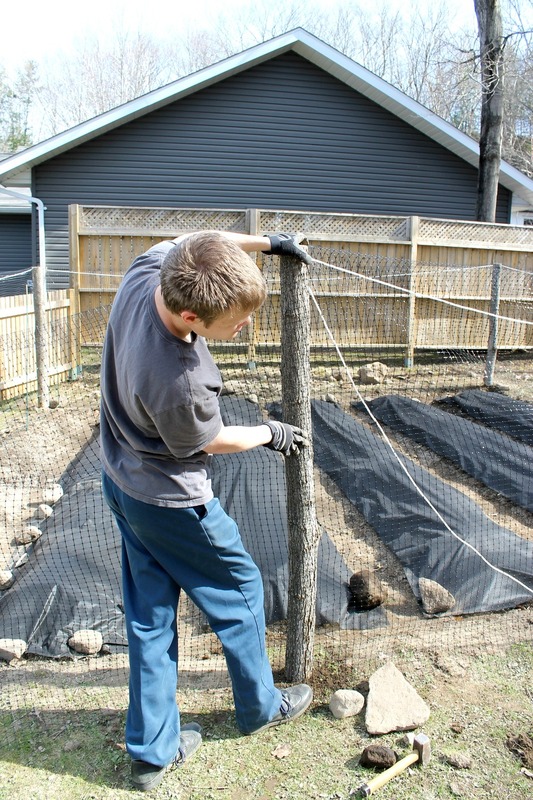 Joel also put up some deer netting around the whole garden to discourage various animals (and kids playing) to stay out. I know this will not keep out determined little guys, but the effort is there! He used poles made from the trees he cut down, and a simple white rope to hold it up. I planted the first of our seeds into the garden as well. I have been told, and then researched a few sources that confirmed – peas are okay to start in the cold, they actually prefer that. My aunt told me her best crop was planted in the end of March. 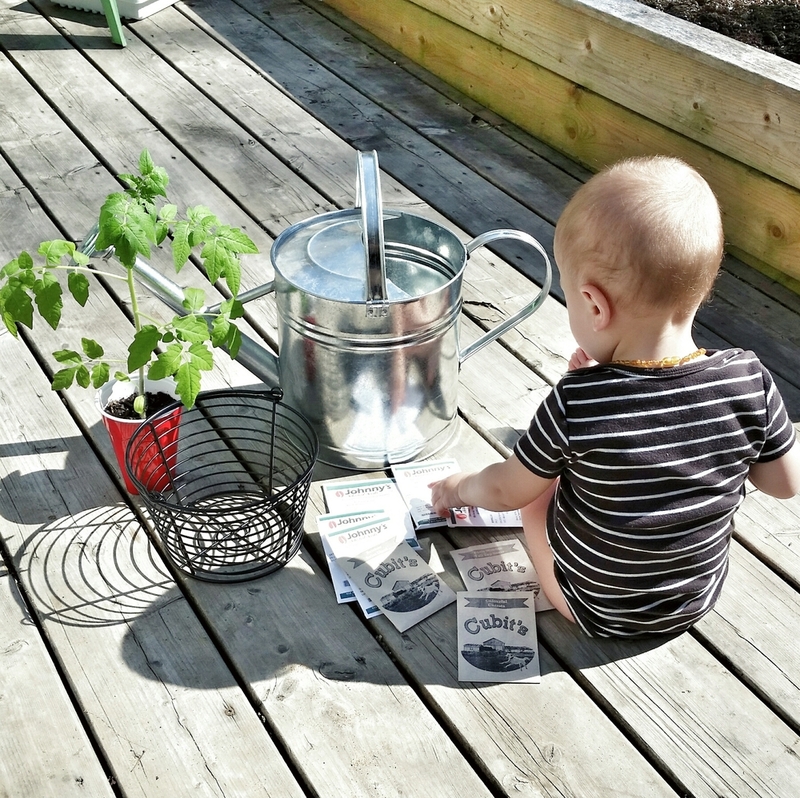 So it was extremely exciting to dig into the dirt and cover seeds directly into our garden! I am hopeful they will start to sprout soon?!?! That is about how far we have come. I am counting down the days until May 24th, we will check the weather predictions after that and determine a good time to start planting. I will also work on hardening off my indoor seedlings over the next few weeks. Officially plan out where everything will be planted in the garden and garden box. We are more than ready to go though, I can’t wait for the day we start bringing in the crop of various vegetables! 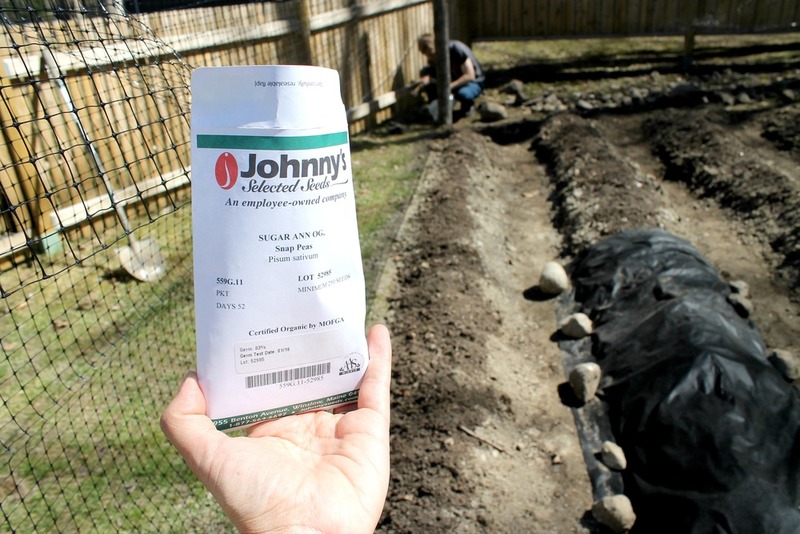 I have a handful of seed packets to get started in the ground still from Johnny’s and Cubits. Those are the rest of the seeds along with two of the gifts I received from Mother’s Day this past weekend. A great large sized watering can, and a small egg basket to collect the chicken’s eggs with. Perfect little gifts of love and things I can’t wait to use everyday! I think that about catches you up on everything we are doing in the garden. I would love to hear about your plants, or what stage you are at in your garden adventure this year. I know not everyone has the same short growing period as we do here. I am jealous of the gardens further south already well on their way! Thanks for stopping by. That’s fantastic that you started so many seedlings inside. I got frustrated with my coffee filter method and just threw a handful of seeds in a pot. Using the cardboard planters has been helpful since I can transplant the whole planter into the garden.I like your deer fence. We’re starting to plan a possible fence/cage for ours. It seems we have a squirrel problem. I’m going to try a spray around the perimeter before we build something. I have a hawk decoy, so I might set him out and move him around a bit. I feel like this will definitely be something to build on each year. Learn new things, better or more effective methods and try out various types of plants to see what thrives. The deer fence was about 100$ for 100 ft, not too bad in my opinion. It fully went around our garden which was nice. You could get away with lighter poles too… which would be great for a non permanent solution! Can’t wait to hear when you start getting veggies!!!! You grow from previous vegetables too right? 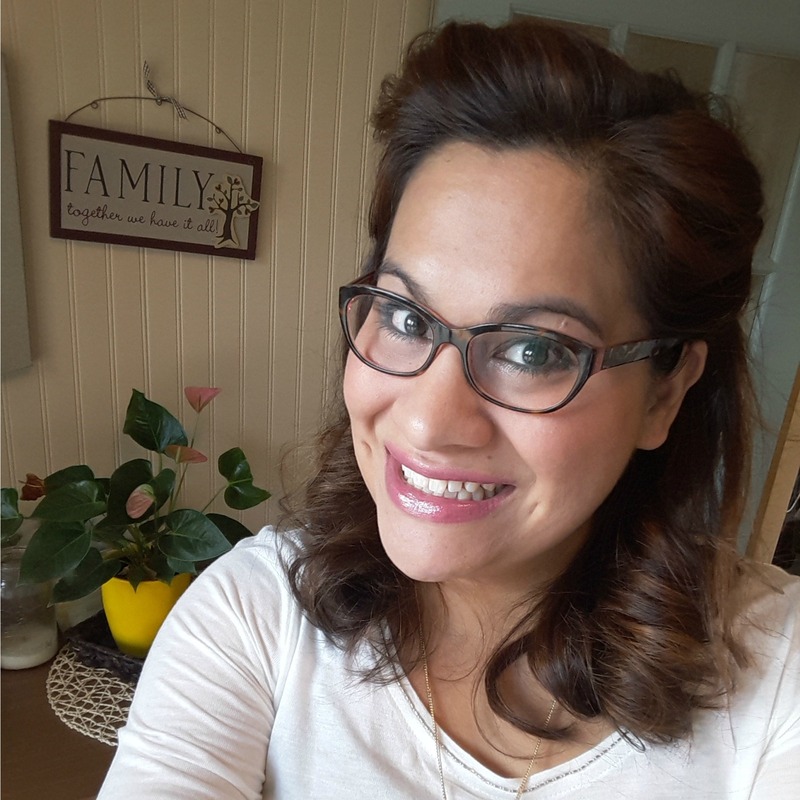 Thanks for reading, and sharing!!! I have not had luck with strawberries, we can never grow enough! We usually take a trip to a farm and pick (or buy depending on kids patience) buckets to make jam with. We love strawberries in this house!!! Maybe more cats would do it, LOL. Although, I find once one squirrel goes another replaces it!